While observers are anxiously calculating the effects of political surprises such as the Brexit and the rise of president-elect Donald Trump, the future of yet another country is hinging on the (un)popularity of a single man. Matteo Renzi, prime minister of Italy, has mimicked David Cameron’s ‘all-in’ move in an attempt to overhaul the institutional framework of his beloved country: Italy. 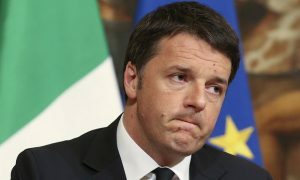 Renzi has vowed to step down if this constitutional referendum fails, a strategic mistake? While some argue losing the referendum is the first step towards an Italexit, others disagree. On December 4th, Italians will line up to cast their vote on the Italian Constitutional Referendum. The prime minister proposed the bill in the spring of 2014, but failed to attract a two-thirds majority in both houses of Parliament. In order to transform this bill into law, the citizens will speak their mind in a referendum. Both the IMF and OECD have emphasized the necessity of reform to enhance decision making and consequently improve economic growth. There is a general consensus that introducing the necessary reform would help Italy in its efforts of regaining both political and economic stability. In the last three years, four different leaders have had their shot at beating this challenge. If that sounds like a lot, bear in mind that since the birth of the Republic of Italy 70 years ago, 63 different governments have been put in place. Risks to the downside of losing the referendum greatly eclipse upside rewards of passing the bill. The major problem wouldn’t be that Italy is unable to forcefully make decisions. Even though investors would shiver hearing the No-vote has come out on top, the real problem lies with the winners of a failing referendum. Beppe Grillo, leader of the party Five Star Movement and a likely winner, is a major critic of the European Union. His political party, which happens to be the second largest in Italy (in the House), is part of the anti-European EFDD faction. Strong opponents of the EU such as AfD (Alternative Fur Deutschland) and UKIP (UK Indepency Party) are amongst his colleagues in the European Parliament. Grillo has repeatedly asked for a referendum on staying within the European Union. Losing the referendum would introduce another period of political instability. The Union cannot afford to lose another vital member state. The likelihood of this event, some say, would increase significantly if the worst-case scenario would materialize. Others argue the other way around. Successfully implementing the bill would gravely alter the distribution of power. The electoral system would be adjusted so that there is a two-round runoff, leading to the winner obtaining an absolute majority in parliament and thus creating a one-party government. This should enable Italy to make structural changes without being pushed back every time. It sounds good in theory, but only if the Democratic Party is able to retain its voters in 2018. If Beppe Grillo’s Five Star Movement continues to rise in popularity, winning the referendum could mean we are one step closer to an ‘Italexit’. 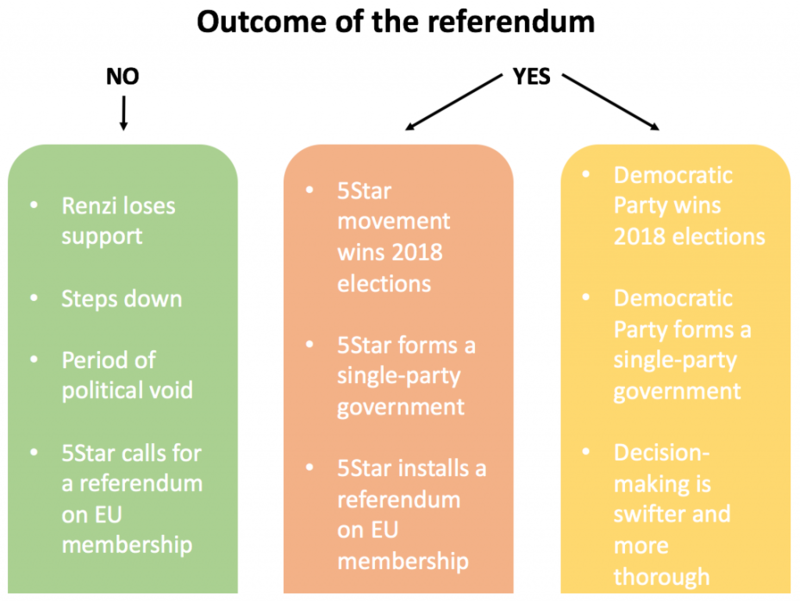 Stopping the Five Star Movement achieving an absolute majority in 2018 is the silver-lining of losing this referendum, but it would still cripple decision making and spur political instability. Opinion polls have lost a lot of credibility lately, having completely missed Brexit and the surprise victory of Donald Trump. Current polls point toward a close victory for the ‘No-vote’. To be absolutely clear: Italians are not voting on whether they should stay in the European Union. It is merely a constitutional reform that could be pushed through. Bloomberg and Politico report on the emergence of an unlikely ally. Although Matteo Renzi has strongly hinted at stepping down if the referendum fails, the president Sergio Mattarella could urge the current prime minister to remain in office. He would be possible to set up a second attempt, but this would only work with enough political capital in the scale. A fallen emperor could come to the rescue, while saving his own political career. 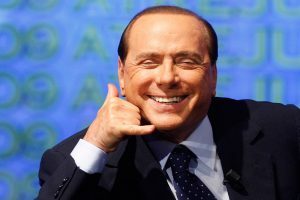 Silvio Berlusconi opposes the senate reforms, but an opportunistic move on his part wouldn’t be an amazing surprise. If Berlusconi’s party decides to support the Democratic party in the senate, it could prevent Five Star Movement from coming into power. Italy is known for its great food and beautiful cities. Two of these jewels, Rome and Turin are nowadays governed by representatives of Beppe Grillo’s Five Star Movement. Unfortunately, Italy is also known for its weak economic progress since the inception of the republic. The country has a 130% debt/GDP ratio. It’s home to the third largest bond market in the world, having over 2 trillion of outstanding government debt. 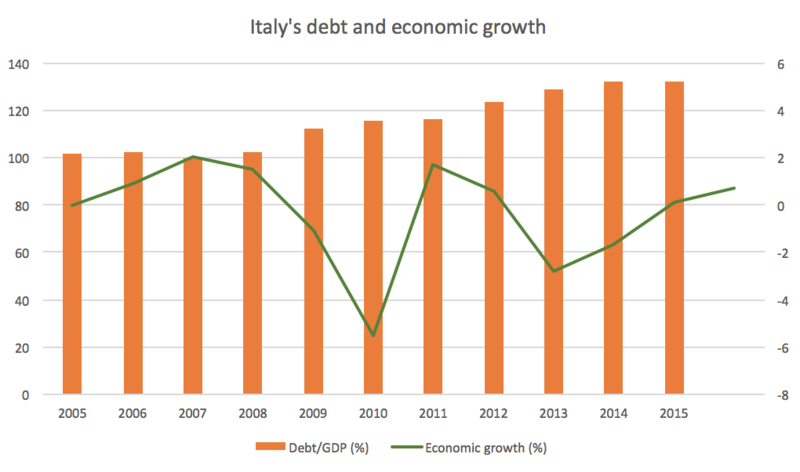 Moreover, a large portion of this debt is held by regular Italian households. Italian banks have over 4 trillion in assets, but have come under considerable pressure lately. Notably, Monte Dei Passchi, the world’s oldest bank, has been making negative headlines in the press. The country’s third-largest lender has failed to keep up with increasingly stringent capital ratio targets put forward by the ECB. Under the Basel III norms, banks would need a 12,5% tier 1 capital ratio to withstand shocks to the banking system. Over the last months, trade in Monte Dei Passchi has been halted several times. On November 24th, Reuters reported that shareholders approved a 5 billion EUR issuance of new shares. New ‘-exits’ appear in the news day after day, but there are notable differences. Every country operates within its own specific situation. A quick comparison with Grexit and Brexit should make it clear that an Italexit entails a greater danger than one might think. The size of Italy’s economy dwarfs that of Greece. In 2016, Italy’s GDP was 1800 billion USD, almost 9 times Greece. This makes Repubblica Italiana the fourth largest economy in Europe. Italy has 9 companies on the Fortune 500 list 2016, Greece none. But there are some similarities. Greece’s black economy is estimated at 25% of GDP, whereas Italy stands at 30%. Greece and Italy are gateways for migrants coming from the Middle-East and Africa, respectively. 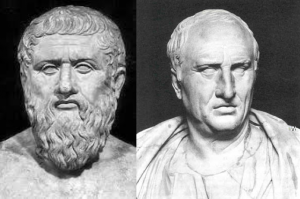 But most importantly: both countries have once given birth to highly advanced societies, the ancient Greek and Roman empires. Brexit has already happened, or at least an exit is scheduled. Many observers say it is too soon to look for any effects on the economy. For one, the actual exit hasn’t taken place yet. Secondly, many economic variables will likely lag. One economic variable was immediately affected by the vote to leave the European Union: the pound plummeted. The fact that Great-Britain isn’t a member of the eurozone makes for a crucial difference between the two countries. With the pound falling, ceteris paribus, exports should get a boost. This mechanism has propelled large multinational stocks on the FTSE to new highs. Italy doesn’t have this instant balancing factor when it decides to turn its back to the union. Leaving the union would coincide with leaving the eurozone as well. Going back to their old currency would inflate the debt level even more, rendering it very unlikely to ever be paid back. Even more so, the political instability could drive yields up for Italian bonds, increasing the spread with the benchmark German bunds. Will a No-vote lead to Italexit? It’s very hard to have a clear-cut answer on this question. Some argue that a No-vote will lead to a political void which can easily be exploited by populist parties. If these are able to rally enough public support, they could force the establishment to organize a referendum on EU-membership. On the other hand, a Yes-vote increases the power of the winning party. The new electoral system allows for one party to lead the country. Even though this enhances decision making, it could backfire. 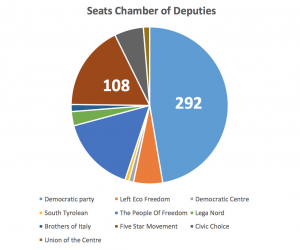 When anti-European parties manage to become the number one party in Italy, they could easily hold a referendum on leaving the European Union, thus making an Italexit more probable. One thing is certain, if a founding member and the 4th largest economy of Europe decides to leave the union, the future of the project looks dim. We’ll have to wait until 2018 to see how it turns out.